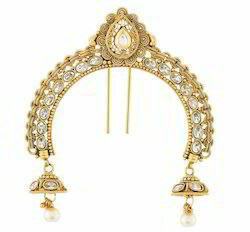 Pearl & Stone Modern Indian Wedding Bridal Hair Pin (Ambada). 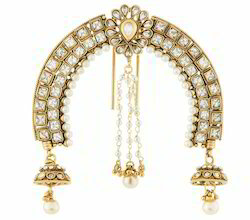 This Hair Pin is Decorated With White Stone & Pearl. This Pin is Gold Plated, pretty Look. Try This On Your Wedding Day & make sure everybody is impressed. Stone & Pearl Hair Pin. 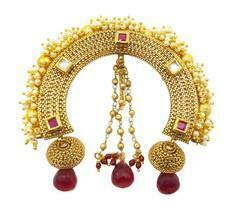 Gold Plated Traditional Bridal Earring with & Party Wear Beautiful design copper base material for modern women jewellery. 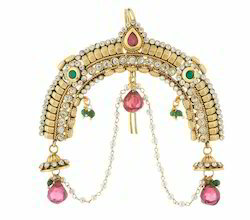 Pink & Green Ruby White Stone Modern Indian Hair Pin (Ambada). 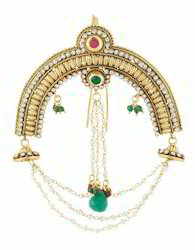 This Hair Pin is Decorated With Pink, Green, Stone & Pearl. This Pin is Gold Plated. U shape Hair Pin. 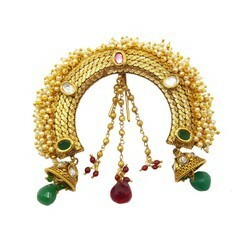 Stone Modern Indian Wedding Bridal Hair Pin (Ambada). This Hair Pin is Decorated With White Stone . This Pin is Gold Plated, pretty Look. Try This On Your Wedding Day & make sure everybody is impressed.